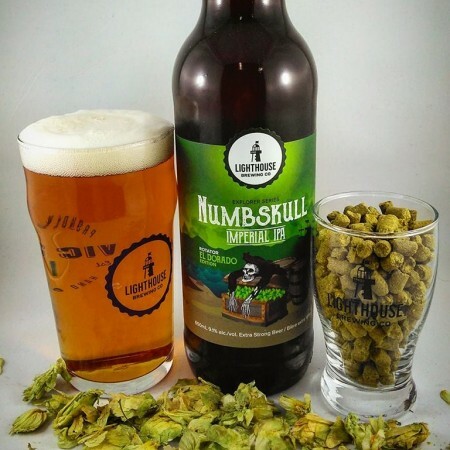 VICTORIA, BC – Lighthouse Brewing has announced the first release in a new series of special “guest hop” editions of its Numbskull Imperial IPA. As the name suggests, Numbskull: El Dorado Edition features El Dorado hops. The 9.1% abv ale is currently available at select private liquor stores in British Columbia, and will also be pouring at the HOPoxia Festival being hosted by Phillips Brewing this weekend. Future editions of the series are expected to be released every few months, with each of them featuring a different type of hops.